A measure described gun Second Amendment groups as a gun confiscation bill sped through the Democrat-controlled Oregon House on Thursday. Backed by Gov. 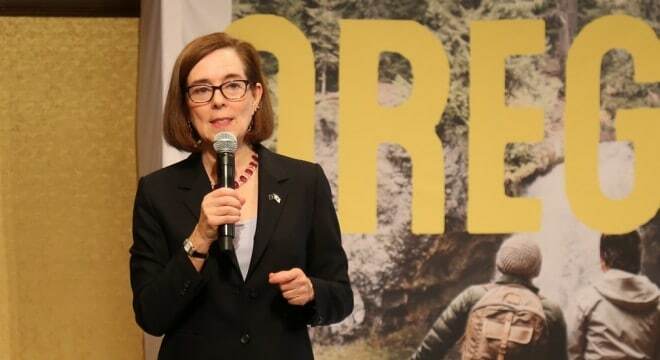 Kate Brown (D), HB 4145, aims to expand Oregon’s current definition of a domestic abuser. Brown’s measure would update the definition to include those not married and add persons convicted of misdemeanor stalking to those barred from possessing firearms. “This common-sense, life-saving legislation will help protect Oregon’s women and children by closing the ‘Intimate Partner Loophole,’ preventing convicted stalkers and domestic violence offenders from buying or possessing guns and keeping guns out of the wrong hands,” Brown told lawmakers in testimony last week. The legislation, a project of the Governor’s for the past several years, would prohibit dating partners under protective orders in a domestic abuse situation from having guns. The move would also void the Second Amendment rights of those with stalking convictions and require the state to inform local law enforcement when a prohibited firearms possessor attempted to buy a gun. Gun control advocates were delighted in the news of the bill’s passage to the Senate this week. Gun rights groups, on the other hand, point out that the proposal goes “well beyond existing state and federal law” and hold that Brown is shepherding the effort in the aftermath of receiving big donations from Michael Bloomberg. Others hold the bill is troubling for additional reasons.